Bumble Bee Jasper Tumbled Stones is a remarkable stone for deflecting jealousy, and makes an excellent shield if you are the object of petty gossip.Bumblebee Jasper causes one go past dread and wavering, upgrading one's certainty and feeling of experience.Bumble Bee Jasper actuates the blessed and Solar Plexus chakras, empowering you to acknowledge change, find new chances, increment your confidence and settle on choices without depending on feelings. 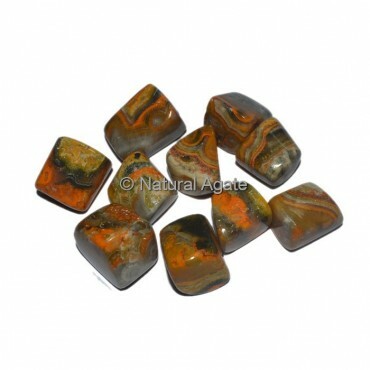 Honey bee Jasper resounds firmly with the second and third chakras. It is exceptionally energizing to both of these zones, conveying motivation and power to the domain of one's inventive indication.